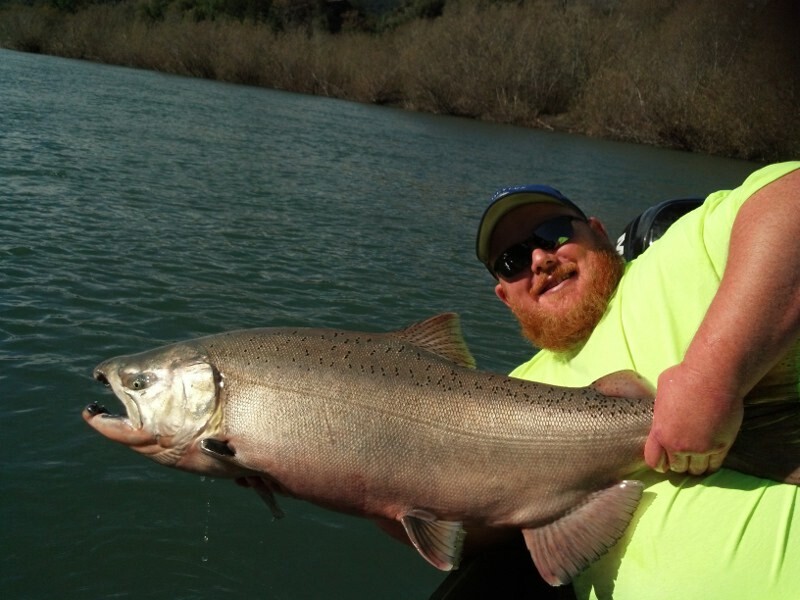 Steelhead Fishing is just about to start its peak for the winter. 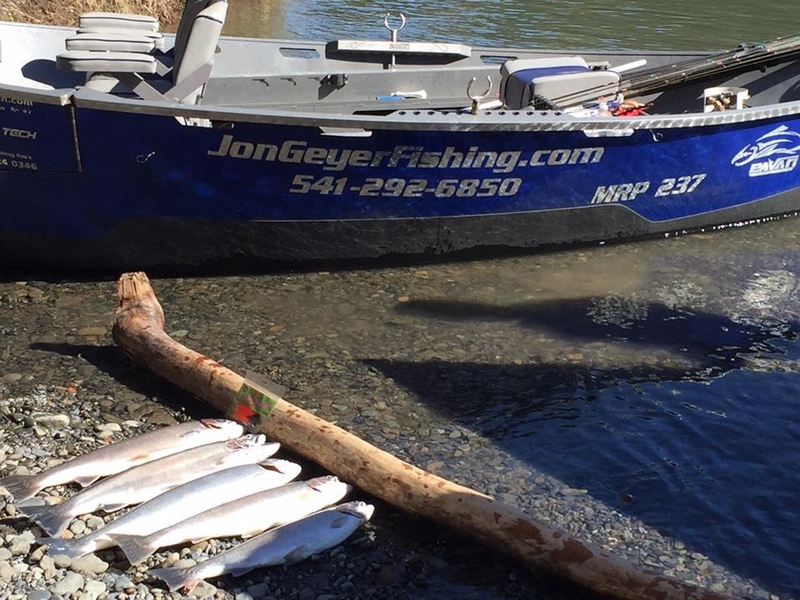 The Umpqua, Rogue and Coquille rivers have lots of fish in them and is only going to get better for the next few months. I have dates available for some great fishing! Big groups are no problem for us. If you’d like to have a great time fighting some beautiful bright steelhead give me a call/text or fill out the contact page. Spring Chinook fishing is starting to get good in the upper Rogue. The Peak time up here is mid June to the end of July. There are a fair amount of hatchery fish around. With lots of water this year i’m looking forward to bright shiny fish into July! July is when we can start keeping native chinook. I still have dates available for this summer fishing season and dates open for our Fall king season. Call or fill out contact page to get a date soon!!! With a lot of rain hitting the coast this week i’m gonna start gearing up for winter steelhead. I’m done for the season on the Chetco River in Brookings… It was a really good start to the Season and just stayed steady. Side drifting by far did the best for me. I am now booking for winter steelhead fishing on the Umpqua, Chetco, Rogue, and Coquille rivers. I hope to take you for a great day of fishing this winter!! If you’d like to get in on some of the BIG king salmon on the Chetco next year call soon to book a day! Its a short season and fills up fast!!! Here are a few of the fish from this season. Our winter steelhead will start getting really good right about Christmas time. It will continue all the way to May on some of the rivers. For the rest of November and December i’ll be catching summer steelhead and Coho on the upper Rogue. Fishing the upper Rogue will be good till January, then we’ll switch over to winter steelhead on the coastal rivers. Fill out the contact form and i can email you back or feel free to call or text to book a date. Take care and have a Great Thanksgiving !!! Chetco River Fall Chinook. Rogue River Summer Steelhead. 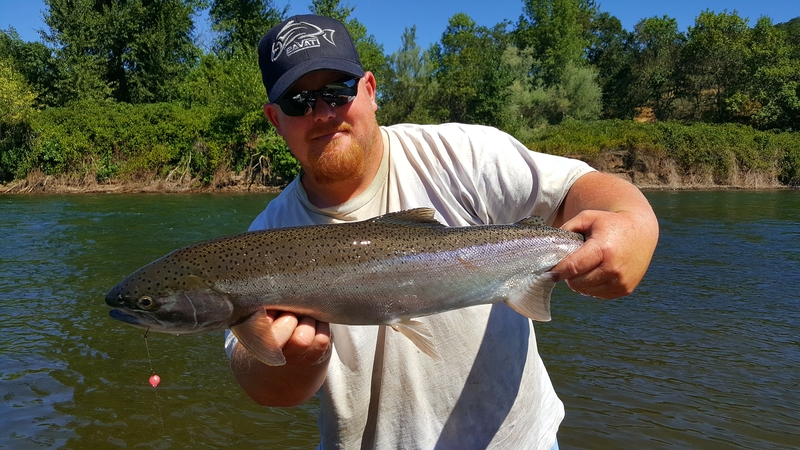 I’m Booking for BIG fall King salmon on the Chetco River, Fall/Summer Steelhead on the Upper Rogue and for winter steelhead on the the Rogue, Chetco, Umpqua and Coquille Rivers. I have dates available in my boat and with a some of the guides who work for me. Call to book a day soon!!! My Chetco dates are filling up fast!! Summer steelhead fishing has been pretty good this year on the upper Rogue. We are averaging 6 to 8 a day landed and getting plenty more chances for bigger numbers. 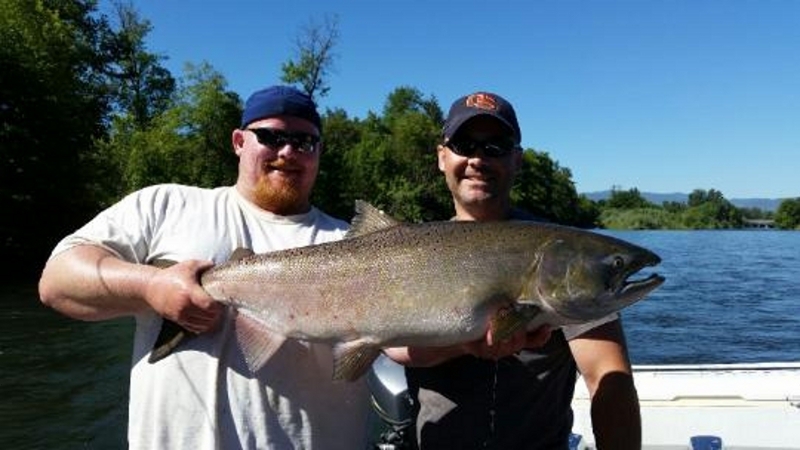 The Chetco has some very large King salmon and can get in the 50 and 60 pound range every year. If you’d like to catch some amazing fish please call soon!!! if you have a large group that is no problem. We will all be fishing around each other all day and be able to talk with the other boat/s. We will be heading over to the Chetco starting the end of October to Thanksgiving. I hope to take you out for a great day of fishing!!! 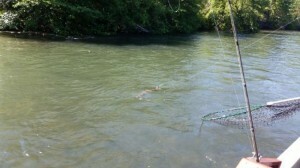 The spring chinook season is winding down in the upper Rogue.. 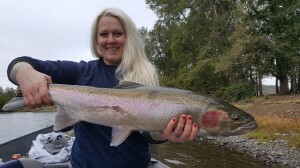 But the Summer steelhead fishing has been fantastic!!! Here very soon i’ll be targeting fall Chinook down river. It was a tough springer season. Not many hatchery fish to be had this year. We did have a strong showing of native kings in June and July but they have been pretty well picked through in the upper river now. 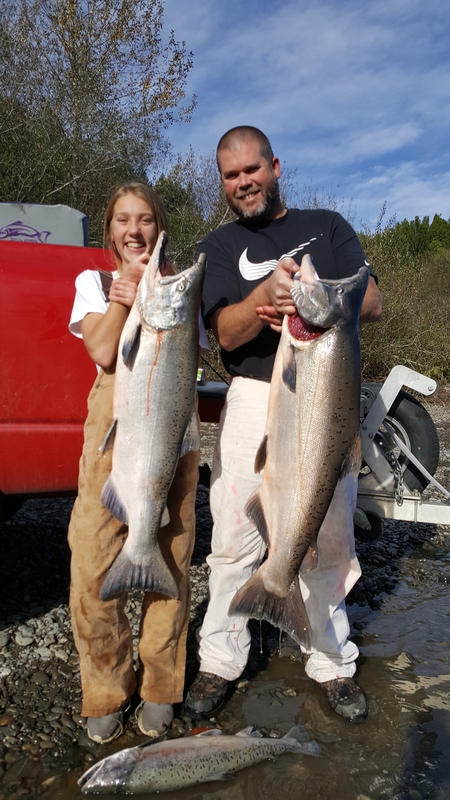 I have available dates for Steelhead and King salmon fishing in August, September, October on the Rogue.. Also open dates for the Chetco river King salmon in November. Summer steelhead have been in great numbers already this year. For July we’ve been averaging 5 to 8 a day which is pretty awesome. August through November is when its best( average day 8 to 12). 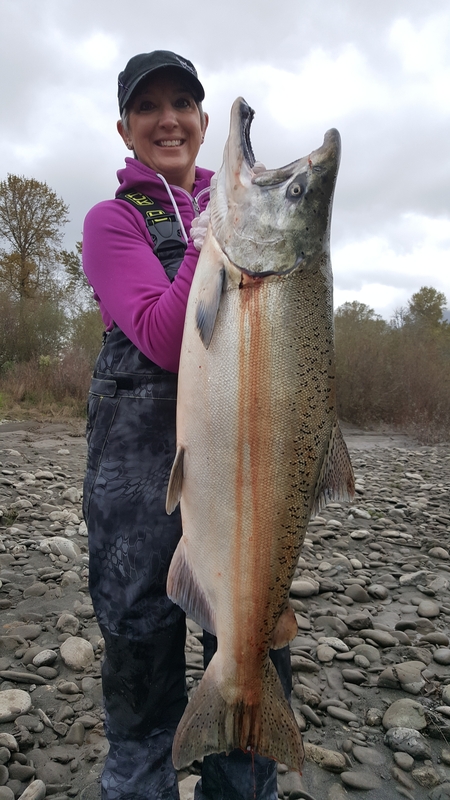 Fly fishing, bobber fishing and normal tactics, side drifting and plugs have all been working very well.. Fall chinook are starting to show in the Middle river.. only a matter of time before it gets really good down there. Hope you can join me or one of the guys on the River soon!!! Call or text if you have any questions !! hope to see ya soon!!! Fishing has been ok…. We haven’t seen many hatchery fish at all this year. There have been plenty of natives to release but that is kinda getting old. We can start keeping natives in July. 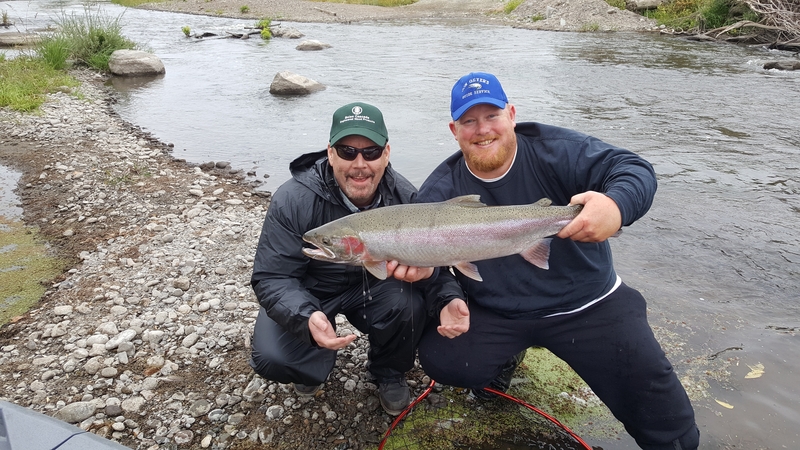 I have available days in July and August for salmon and steelhead fishing… Summer Steelhead have been showing up already!!! Have hooked a few and know of quite a few already landed by other guys. If you’d like to join me for a fun day on the water give me a call!! I have a couple really good guides that work with me for larger groups. I’m also booking for Fall King (Sept and late August) salmon and steelhead trips on the Rogue … Booking for the Chetco River King run in Oct and Nov too!! 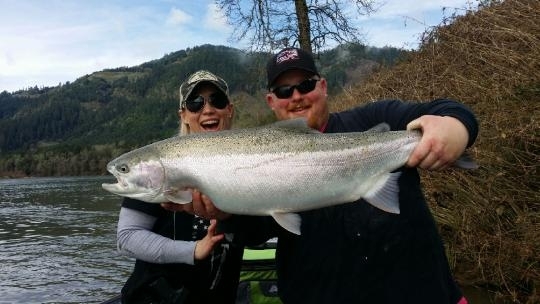 There are lots of steelhead in the rivers right now. 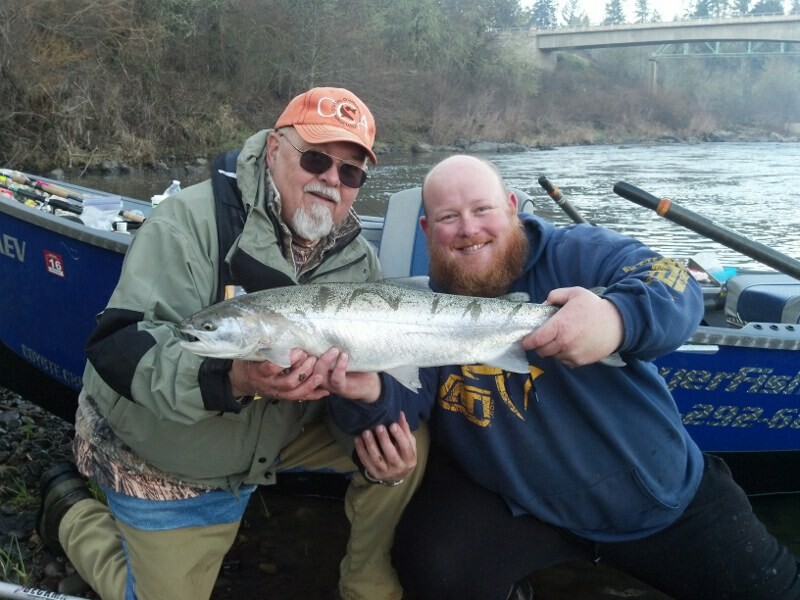 With the water conditions perfect and the weather as good as it gets….. well, its a shame to not be on the water 🙂 I have available dates in April for steelhead and am also booking for King salmon on the Upper Rogue. If you’d like to book a day or If you want an update on how fishing is i’d gladly let you know. Just give me a call or text 541-292-6850. Big groups or small, we can get you on the water for a great time!! With lots of water in the lakes and a huge snow pack it should be a great year for Spring Chinook (King) I hope can take you and your family/friends for great day of fishing on the river. 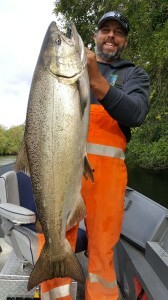 Our fall chinook are starting to show in great numbers!!! Its been pretty darn good this last week. With all of the doom and gloom everyone has been writing about has made the river pretty empty. Its been kinda nice with such few boats on the water. With plenty of water in the river, fishing has been really good. With a few days limiting out by 9:30 in the morning. Summer steelhead fishing has also been red HOT!! We’ve been getting into 12 to 20 a day in the upper Rogue. Mostly fishing fly and bobber. I still have dates open for Fall chinook and summer steelhead if you’d like to get in on some pretty awesome fishing!!! Also booking fall Chinook trips on the Chetco river in Brookings. Lots of very large kings caught on this little gem of a river ever year!! Salmon Fishing on the upper Rogue recently has been pretty good!! May was really up and down with the weather and so was the bite. 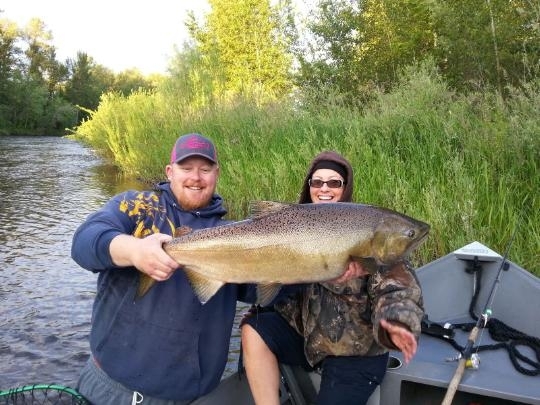 Now that the weather has been warm and conditions are steady the fishing has really picked up. 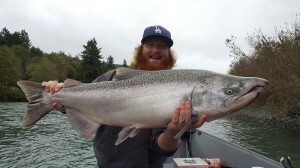 The best time for Spring Chinook fishing is now till the end of July… I still have some dates open if you’d like to catch some of these tasty fish!! 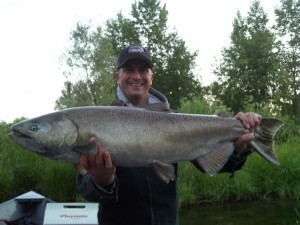 I am also booking for fall Chinook fishing on the Rogue and Chetco rivers!! I hope to take you out for a fun day of catching fish!!! Call soon to book a day!